*astTECS is all set to take on the VoIP market once the policy is implemented. And it aspires for an IPO by 2017 furthering its internal IPO consisting of core people who drive the organization. Pacing with the revolutionary adoption of default Open Source Platform. *astTECS is buckled and armed to aid the customers to transit from voice to unified communication platform. The industry continues to grow as customers migrate from simple voice solution to unified communication solutions; audio video integration and complete IP Telephony solution that would help them reduce rising administrative expenses, extend business reach, boost productivity and realize measurable returns on their infrastructure investments. *astTECS current portfolio includes IP PBX with video conferencing, Call Center Dialer, Mini IP PBX, GSM gateway, Voice Logger, IVR system, Web based Video Conference System and ahead continues innovation to address the communication needs of enterprises offering superior communication experiences. Till recently, VoIP through practiced in most of the developed countries was not legal in India. Indian government has approved VoIP under National Telecom Policy 2012 and as per Wilson is likely to get implemented in the next 13 to 17 months. As the VoIP implementation is done EPBX users will be compelled to convert them into IP PBX. “ IP is going to every home and enabling calls from mediums such as Skype to Skype; Skype to mobile number, therefore avoiding investment on a DTHP,” informs Wilson. He further explains that once IP is in place the call charges are going to drastically drop down to just 10-20 paise from say 60 paise and ISD charges which is currently costing Rs. 6-8 will come down to less than a rupee. *astTECS will shortly unveil the ultra compact and revolutionary SOHO PBX in an incredibly small and sleek form factor, which Wilson says is ideal for small offices, and homes. Ensuring a plug-n-play simplicity, this product combines the capacity and capability of a powerful IP PBX and supports up to 8 extensions offering features like Interactive Voice Response (IVR) and ensures seamless integration with traditional analog phones. 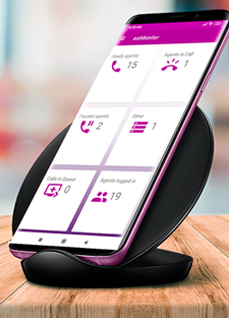 Not only this, the SOHO PBX readily connects with any smart phone and can be easily deployed for use as an intercom within the premises over Wi-Fi. *astTECS vision business opportunities in Tier I & II cities and primarily focuses on them and not beyond them. “We are scheduled to grab the tier III market as and when the IP becomes legalized,” says Wilson. Aiming to increase its footprints geographically *astTECS has set in place a local office with a dedicated manager who is responsible for appointing the distributors and channel partners, nurture them, drive and ensure achieving the sales target. The Company offers its wide range of open source telecom solutions to customers across all verticals, such as IT & ITES, large enterprises, BFSI, hospitality, railways, airlines, logistics, retail and manufacturing apart from small and mid size companies. “*astTECS solutions are suited for enterprises across all categories and these can be easily scaled up. In terms of marketing participation in expos, exhibitions and other marketing avenues we are being generous, “ emphasized Wislon. Partner Connect Programmes and *astTECS Academy includes road shows, seminars, regular education and trainings session with partners, Sis, users & customers across the globe ensuring visibility and hands on experience of path breaking Asterisk based solution. 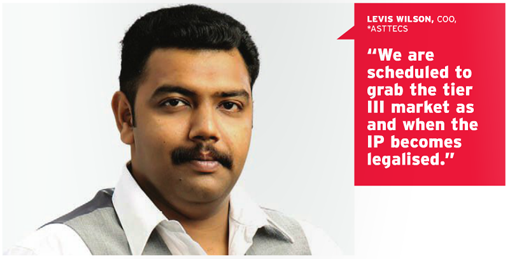 *astTECS aspire for an IPO by 2017 by furthering its internal IPO consisting of core people who drive the organization. gap by bringing it closer to the user as it continues to broaden its presence and create an environment that can efficiently increase business growth and reduce costs.